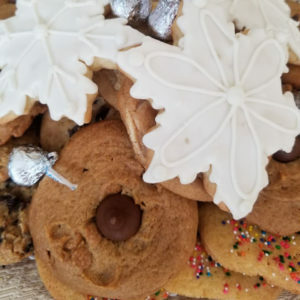 Old Fashioned Italian Cookie Trays. Recipes handed down three generations. Old family favorites. Just the smell and the taste bring me back in time to my mom’s and my grandma’s kitchen. 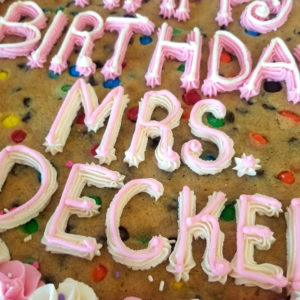 Terri Ann’s cookies are the perfect complement to any Wedding, Graduation, Bridal/Baby Shower, Holiday, Personal / Corporate entertaining, sympathy or send as a gift for any occasion. 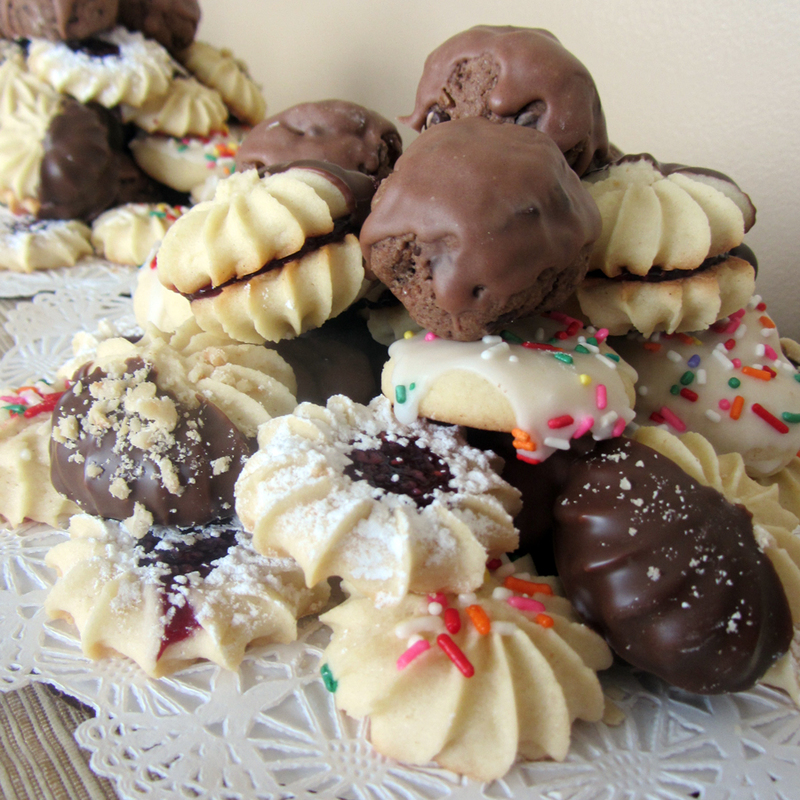 Our larger selection of Italian cookies….receive an assortment of butter cookies, chocolate meatball cookies, white meatball cookies, chocolate raspberry twinkles, Neapolitan and almond/coconut macaroons arranged on a tray. 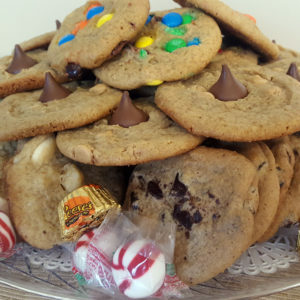 Our cookies are baked in small batches just for YOUR order. 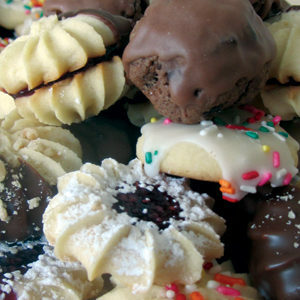 We pride ourselves on fresh, delicious, melt in your mouth Italian cookies. You can not compare the taste or quality you will receive.